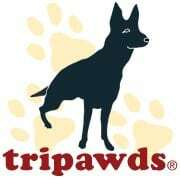 Tripawds® is the largest and oldest online support community for animal amputees and their humans. We have more than 12,000 members between our website and social media channels, with more members joining every day. We better the lives of pet parents around the globe by providing legitimate and helpful information about life on three legs. Coping with a bone cancer diagnosis in dogs & cats. The ups & downs of amputation recovery & ongoing care. Rehabilitation therapy tips for keeping pets healthy & strong. Diet, nutrition & supplements for dogs & cats in all health stages. Providing an exceptional quality of life for all animal companions. Helping people cope with the loss of beloved pets. Tripawds members often host gatherings around the globe. Each day, our enlightened and educated members from around the globe provide extraordinary support to one another. At any given moment, a pet parent finds hope and inspiration after receiving the dreaded news that their animal must lose a limb to alleviate pain and improve their quality of life. Our members are passionate about researching the best products and services for their pets. They turn to Tripawds for recommendations and frequently share their findings in the discussion forums and more than 1,000 Tripawds Blogs. Tripawds.com is an ever-growing network with thousands of registered members from around the world who engage with each other on a daily basis. 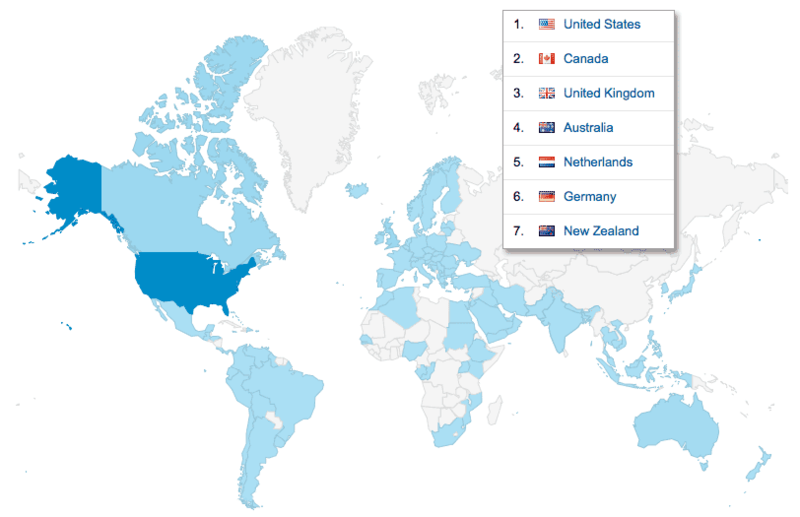 Their locations range from North America to Canada, Australia to the United Kingdom, Germany and beyond. 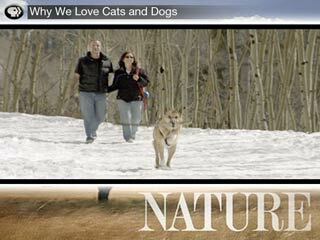 Tripawds founders Jim and Rene were featured with their dog Jerry—the original inspiration behind Tripawds.com—in “Nature, Why We Love Cats and Dogs.” The show first aired on PBS in 2009 and continues to be seen in syndication today. Jim Nelson was also featured in a 2012 episode of Who Let The Dogs Out, filmed on location at the BlogPaws conference in Salt Lake City, Utah. During the segment he explains his passion for Tripawds, and how the community has grown over the years. Jim presented the popular Facebook session at the 2014 BlogPaws pet blogging and social media conference in Henderson Nevada, and he will be speaking again at BlogPaws 2015. Both Jim and Rene presented the brunch keynote for the 2011 Take A Bite Out of Canine Cancer Conference in Fredericksburg, Virginia. Prior to launching Tripawds in 2006, together they managed the full service marketing communications and graphic firm they grew for ten years from their home in Eureka, California. Today, they continue to travel the country with spokesdog Wyatt Ray operating Tripawds from their mobile headquarters, making them available for regional events and speaking engagements. Why Align Your Brand With Tripawds? Tripawds pet parents will go to great lengths to provide an exceptional life for their animal companions. Our community has grown exponentially since our founding in 2006 and we are presently partnering with a limited number of remarkable, animal-centric brands seeking to create a higher level of engagement with our sophisticated membership base. We offer much more than your typical “advertising” programs at Tripawds: engaging with our members and followers is much more effective. Rather than just placing banner ads and text links, we allow select brands to create a lasting impression by aligning their message with the Tripawds mission. Custom-tailored Tripawds partner campaigns can encompass many avenues for outreach, such as. Social Media Outreach & More! We have a limited number of engagement opportunities available for the right brands. Every campaign is customized to effectively introduce your products and touch the lives of our members. Let’s talk about the possibilities—from showcasing your brand in our twice-monthly, opt-in newsletter, co-branded multimedia, and special event marketing, to speaking engagements and social media outreach campaigns. Connect with Tripawds via your favorite social network, or contact us below for a conversation about how you can get your brand in front of the Tripawds Nation! Corporate sponsors with organizational giving programs are encouraged to contact the Tripawds Foundation regarding charitable sponsorship opportunities. Tell us about your brand, and why you want to reach the Tripawds community. We’ll get back to you ASAP!